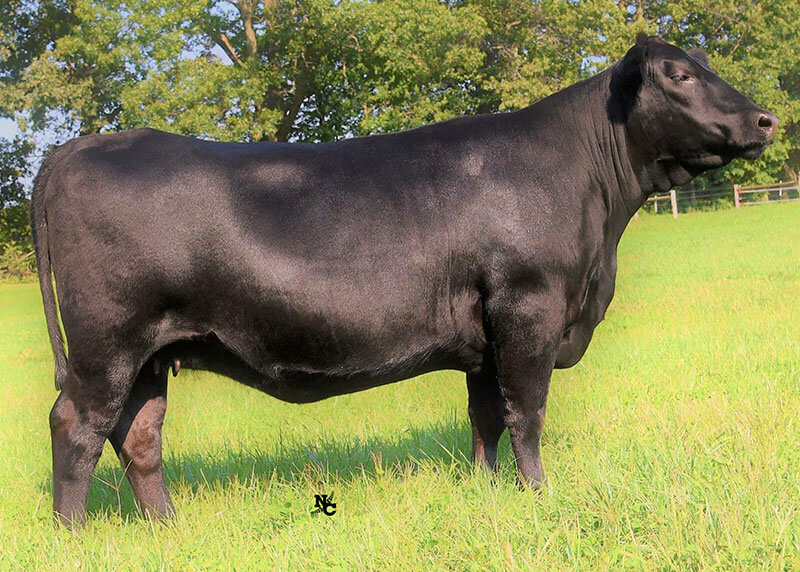 This Bank Note son was purchased from Brooking Angus Ranch and he has impressed us every day since. He breeds like no other, and his proven birth weight to yearling weight epd spread is incredible. His calves come super easy, grow fast, and have beautiful black hair coats that slick off well. He is very stout and muscular but moves out gracefully. Principal has caught the eye of most who visit the farm and we are sure that he will continue to do so from here on out. We purchased 3003 from the Werner Angus dispersal and couldn’t be more pleased with her. 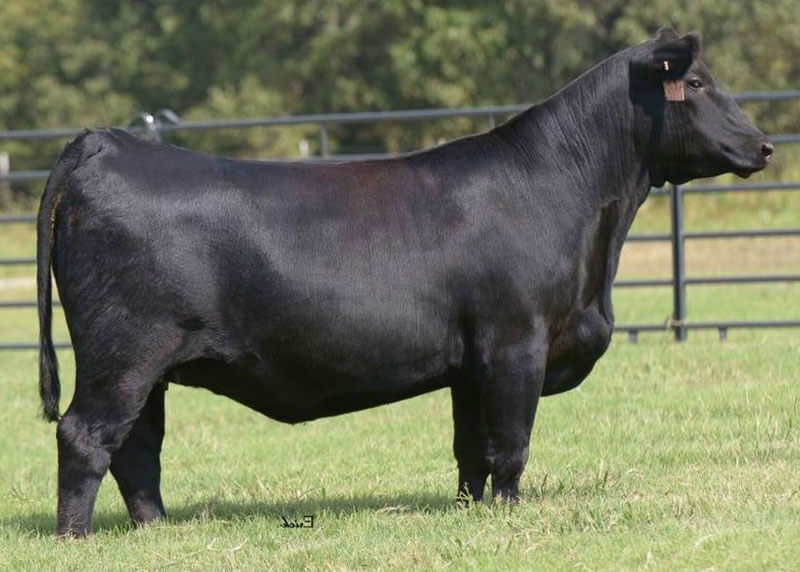 Her grand dam, Gambles Lady 634, was the top bred cow that sold in the 2008 Gambles Sale as lot 1 for $45000 USD and her dam sold in the Werner Angus dispersal for $29000 USD. This powerful Prowler daughter has a strong presence, beautiful udder, great muscle, and moves out really well. Her AAA progeny record in 2017 had a WR 2@106, YR 2@ 103 and she, herself, posted an individual WR of 112, YR of 109 and UREA of 116. This female has really impressed us since the day we bought her and her dam, both together. They are both very feed efficient, low maintenance, and very fertile. Daisy 47C gets bred to her first AI every year, calves early and does a great job raising her calves. Even better, she is the type that loves attention and is exceptionally docile. This female was a large investment for us, but well worth every penny. She is a phenomenal dam and checks all of the boxes for what we believe puts together a perfect cow. 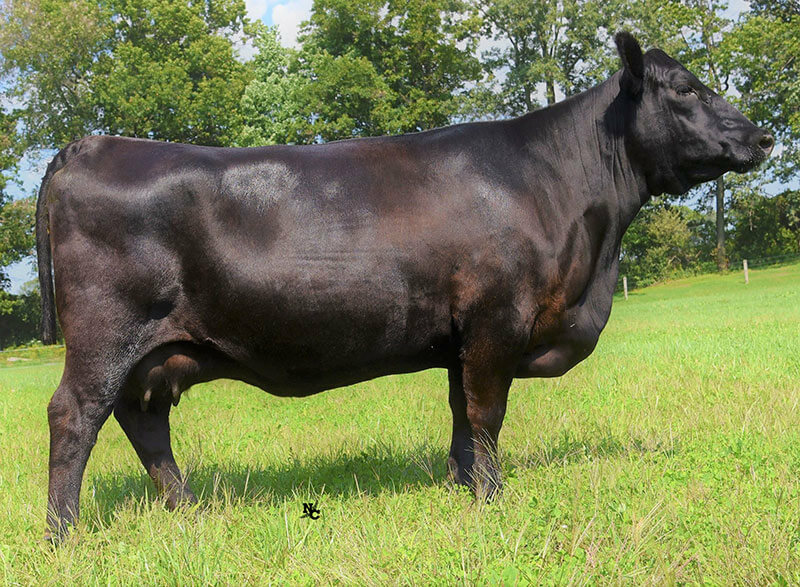 She is a direct daughter of SAV Madame Pride 0075, the second top income producing cow in SAV history with over $2.6 million in direct progeny sales (as of 2017). 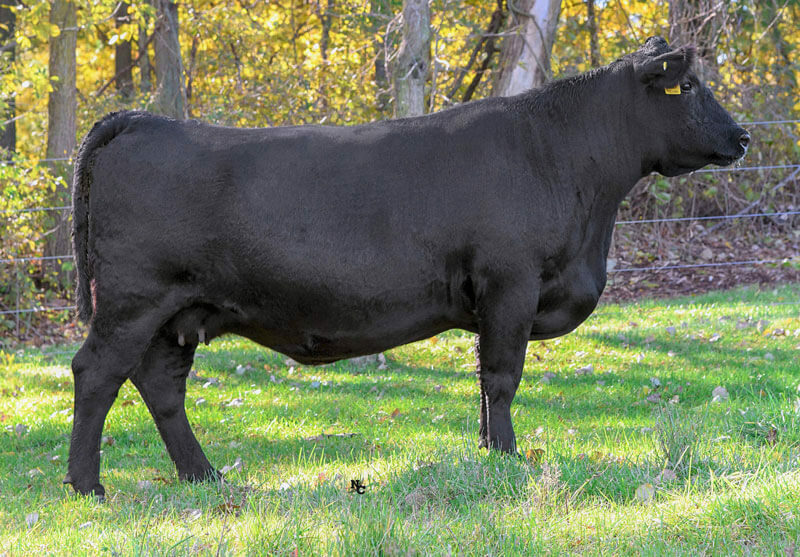 With the maternal strengths, growth performance and worthy carcass data in this pedigree, she has made a large impact on the genetic potential of our herd. We purchased this beautiful Bismarck daughter from Luke Foster - Foster Angus Ranch - and have been very happy with her performance. She has a strong presence and carries her head high in quite a proud fashion. Females with this kind of confidence and character are appreciated, especially when picturing time rolls around! Here is a very special cow with a moderate frame, great foot structure and picture perfect udder. She was bred for power and performance. With S A V Harvestor 0338, S A V Blackcap May 5530, Rito 707 of Ideal 3407 7075 and S A V Blackcap May 4136 in her pedigree, she is destined to accomplish great things in her lifetime. 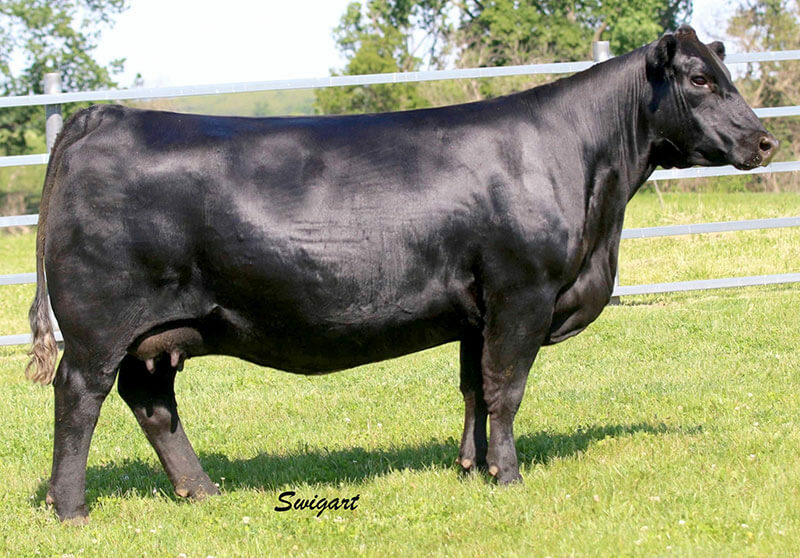 Her dam (S A V Blackcap May 1433) is out of the same historic flush that produced the one and only S A V Resource 1441, and 1433 has always been a favorite cow of ours when touring the S A V herd. Her sire, (S A V Cutting Edge 4857) was the sire of our favorite bull calves at S A V back in 2016. They were absolute standouts with their outstanding thickness and muscle shape. We knew then that we had to have a daughter of his and were thrilled to have the opportunity to acquire one out of 1433. 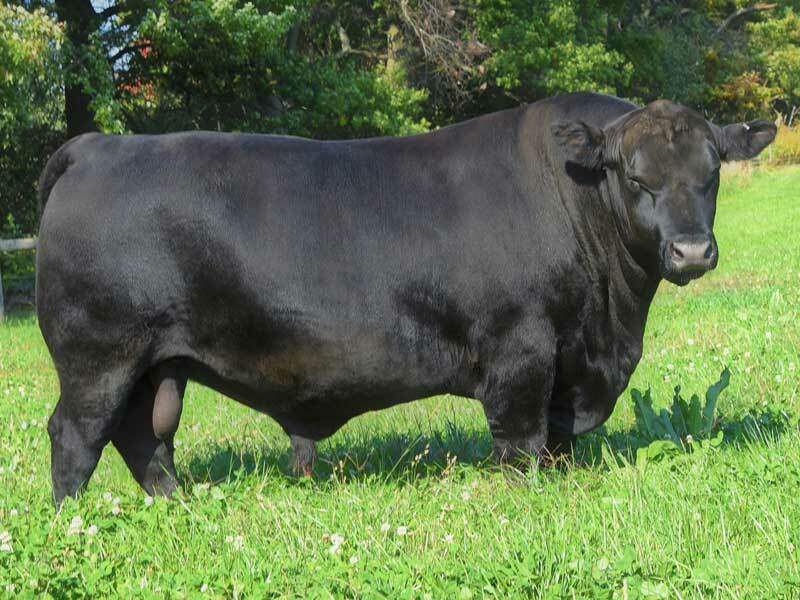 We purchased 6164 from the Werner Angus dispersal. She is the very first daughter of Werner Flat Top 4136. She’s a double digit CED female out of the proven Dixie Erica donor, who is a maternal sister to Werner War Party 1472. 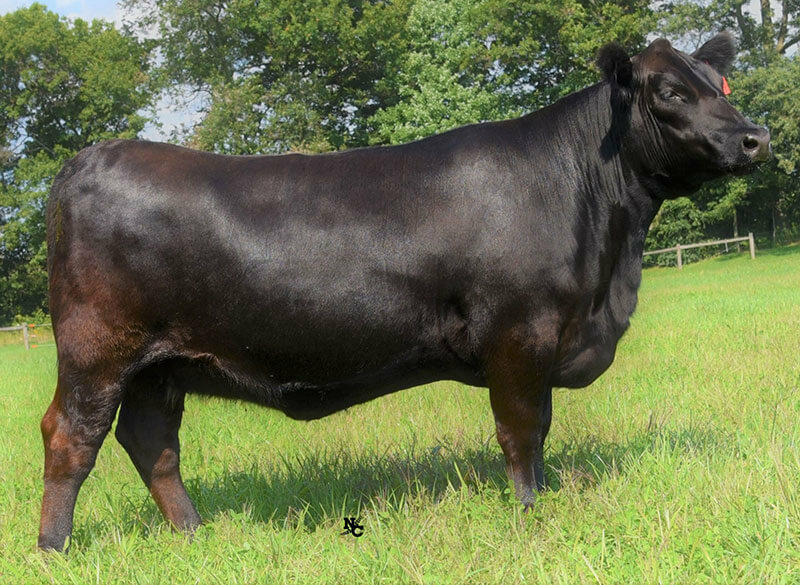 Her picture as an open heifer can be found in the Select Sires 2018 Beef Sire Directory. 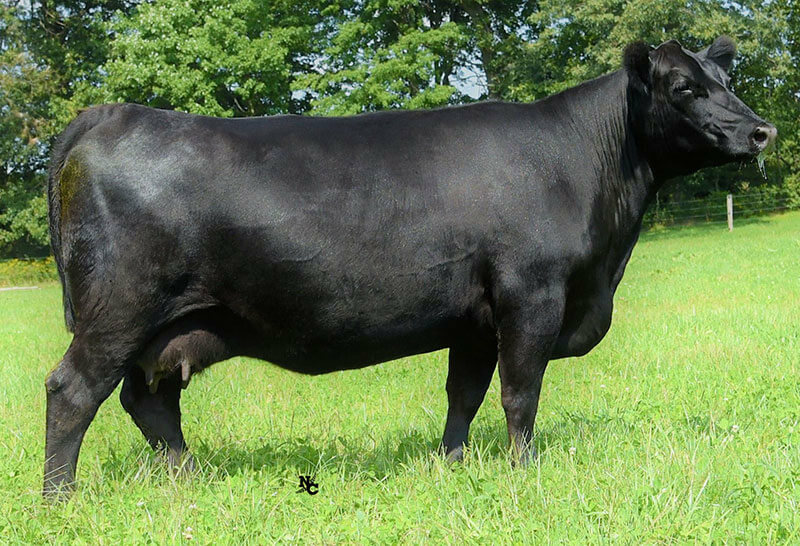 She is an absolute standout in our bred heifer pen and we are very excited for her future here at our farm. This very well put together Emblynette female caught our eye at the 2017 North Perth Inaugural Female Sale. She and her dam were the second high selling top pair at the sale. Her dam had a beautiful udder and was very quiet in the sale pen, and with S A V Regard 4863 as the sire of her heifer calf, we couldn’t say no. We think we made the right choice with that decision.